Bluegrass Pundit: Jihadi John killed in drone strike? 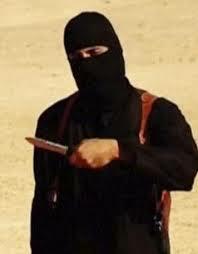 DEVELOPING – The Pentagon said late Thursday it had launched an airstrike in Syria targeting "Jihadi John", a British national seen in videos depicting the beheading of hostages held by ISIS. Pentagon spokesman Peter Cook confirmed that the airstrike in Raqqa was directed at the notorious militant, also known as Mohamed Emwazi. It was not immediately clear whether Emwazi died in the airstrike, but a senior U.S. military official told Fox News, "we are 99 percent sure we got him." The Pentagon was monitoring the aftermath of the strike before making a definitive announcement. A senior U.S. defense official told Fox News that a drone was used in the airstrike. According to a senior military source, the drone had been tracking Emwazi for most of the day Thursday while he met with other people. The source said the strike took place shortly after Emwazi came out of a building in Raqqa, when he was "ID'd and engaged."